Looking for Best Immigration Consultants in Delhi? Check These Tips! It is the dream of every second person to travel abroad at least once in their lifetime. It may be to study, work or holiday. 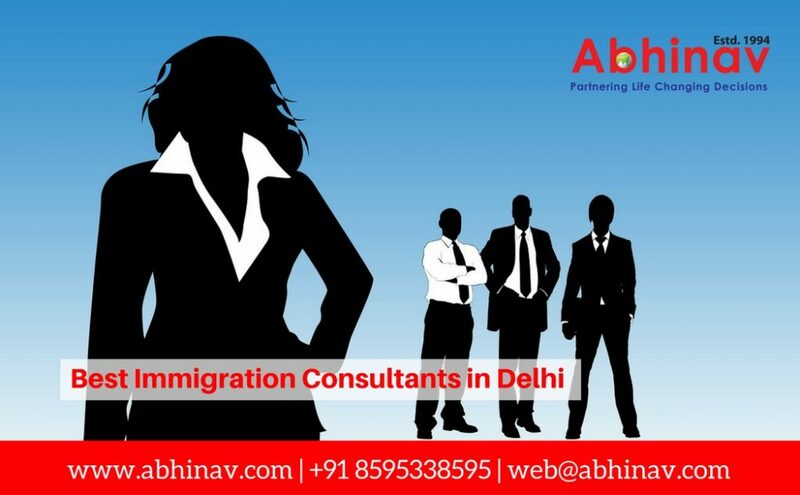 To help them travel aboard some of the Best Immigration Consultants in Delhi are these days offering their consultancy services. They will help you in getting the required visa approved in a very short period, and without any difficulties. As mentioned before, many well-known immigration consultants are busy providing consultancy services in Delhi and the NCR Region. In the last couple of years, these agents have been the key force behind hundreds of success stories. With their help and guidance, numerous aspirants have successfully moved to many top destinations, like Canada, Australia, the UK, the US, etc. A simple thought of migration to a well-developed place is a reason of great fascination for many people. But this fascination comes with tiresome pain of getting through the complex immigration procedure. This procedure usually churns out the energy of the applicants. To avoid all this, many aspirants take help of the immigration consultants. On behalf of the applicant, these professionals carry-out the visa process. Lately, this trend has grown and the dependence on immigration consultants has increased. Negative fallout of this has been the emergence of some fraudsters on the scene. These so-called visa experts are known to cheat innocent applicants assuring them a visa of their dream country. The blog will give you some useful tips and inform you how to be on your guard against such immigration consultants in Delhi. Hereunder you will also get some tips that will help you find the best immigration consultants in Delhi. Get in touch with only those immigration advisors who have a 100% clean background and good reputation. Be cautious of those immigration consultants who assure you fastest visa services. Immigration consultants with fees higher than the normal should also be avoided. Sign a contract with them and take a copy of the contract back home ‘to be on the safer side’. Don’t pay the full fees in advance. Instead, pay in installment as your visa application progress and take a receipt. Don’t submit all your original documents; submit the photocopies of the same. Read the visa application form carefully. Use the following parameters to assess the effectiveness of the immigration consultants in Delhi. Do not pick just any immigration consultant; rather pick only the right immigration consultants to serve your purpose. It’s not a difficult task to pick the right expert in the field all you have to do is to assess their profile carefully. Check the terms and conditions. It is the easiest way to check their effectiveness, their terms and conditions reflect their image in the city. If they are in favor of applicant it means the services they are providing are genuine and your immigration purpose will be resolved easily. Feedback or testimonials. If the client has given positive feedback or testimonial, it’s a proven fact that they are good enough. Do not go by the fake or paid reviews and testimonials. Fancy words are no surety of their effectiveness. Hence, it is not the only way. If you get a personal reference or feedback from family, friend or a colleague, go for it!